From high in the mountains around Afghanistan, Pakistan and Northern India come the indica family of Cannabis. Hindu Kush is your typical indica plant. Huge wide leaves deep green, almost blue in colour, and fingers that often overlap each other. Short and stocky in growth habit with lower branches that grow all the way nearly to the top. Flower clusters are dense and form all the way along the branches. Extremely heavy resin production, early maturation, and good yields are characteristics of this strain. 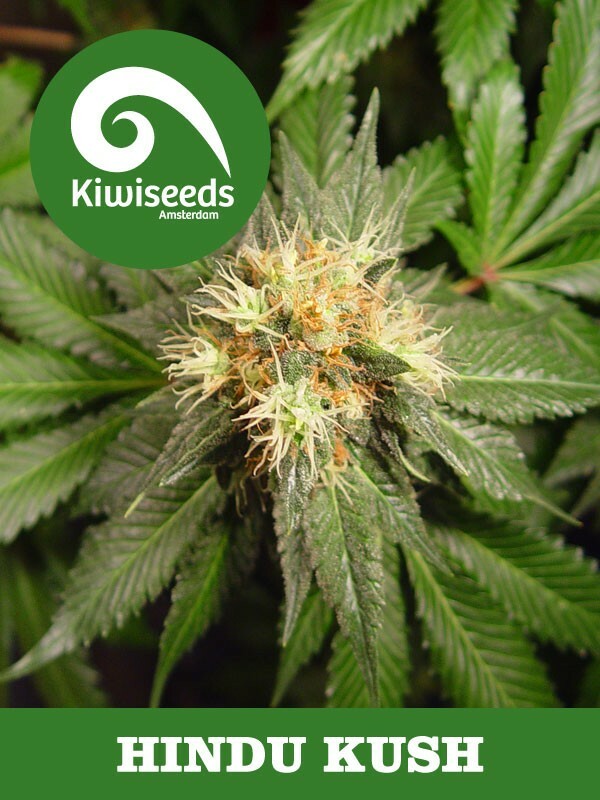 All this make the Hindu Kush strain a valuable plant for breeders and an important part of many modern hybrid cannabis strains.